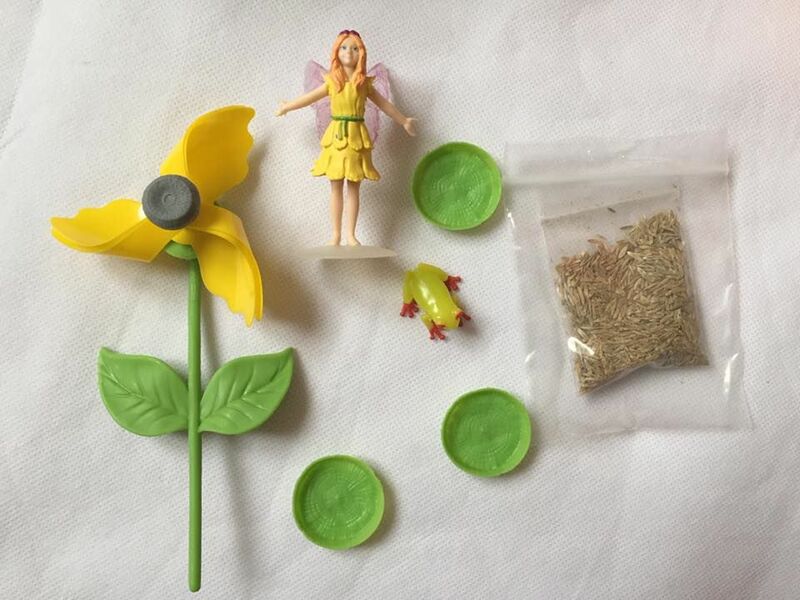 My Fairy Garden is a leading toy brand in the UK, EU, US, Australia, New Zealand and other territories, offering toys of great quality that encourage children to interact with nature, through safe and innovative play, such as growing plants, observing the weather and learning about the environment. 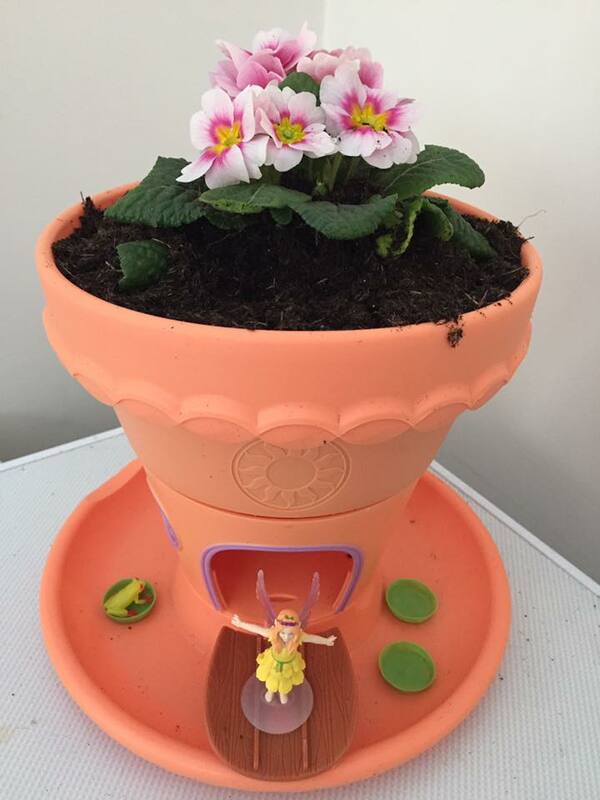 I only recently learnt of the My Fairy Garden brand from Interplay UK Ltd and just love the concept of getting the children to interact with nature. It is so easy these days for children to be completely engrossed in technology so this is perfect to get them to do something different. I myself am a fan of growing flowers and vegetables at home, so the Lilypad Gardens was perfect for Bee to try out. She is building up a love for the outdoors already. The kit comes with grass seeds but Bee wanted some pink flowers so we went and got some for her to plant. Bee is so pleased that she now has her own personal plant pot with her own flower to take care of. 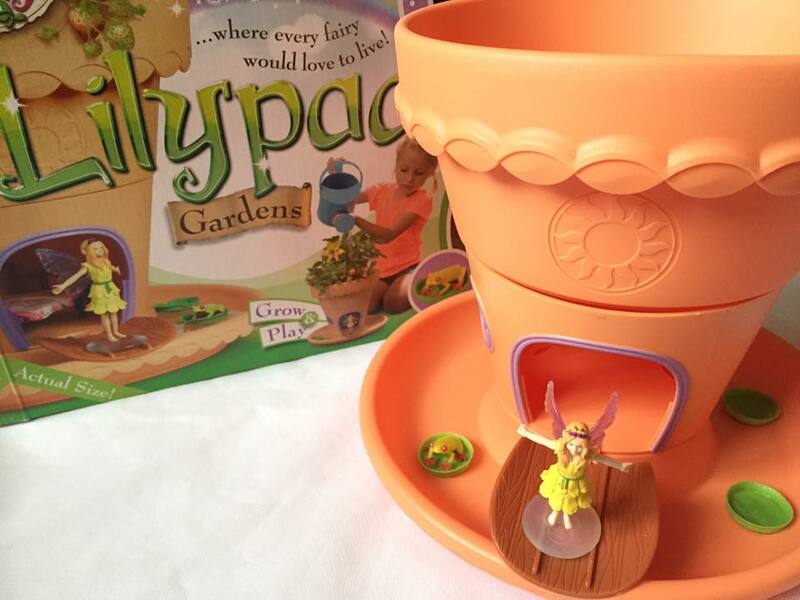 The saucer can be filled with water so the lillypad’s and frog can float around, and you can decorate the fairy house with her own furniture; the kit comes with a leaflet that has examples of how you can make furniture with bits around the house. It would be nice though if the kit came with some soil as we had to go out and buy some. My Fairy Garden isn’t just limited to some kits with fairies, they also have a new website with lots of fun and games. You can learn about all the different fairies on the website and there is even a quiz to see which fairy you are! Not just quizzes, there are also colouring pages you can download, instructions on how to make things for your fairy such as a ladder and also a variety of games. Bee particularly enjoyed having a go at the jigsaw puzzle game. Do you have a little one that love fairies? Is so then they can explore the My Fairy Garden website for plenty of fun and games! Disclosure: We were sent Lilypad Gardens in return for a post about My Fairy Gardens. All thoughts and opinions are our own. I like the idea of getting children to interact with nature too. This is a new toy on me – when mine were little this didn’t exist! What a fantastic idea the Fairy Garden is. So innovative, and fresh. Lots of excellent work. Good guidance and tips. Much appreciated.